15+ Oversized naths we spotted on real brides & where to buy them from! 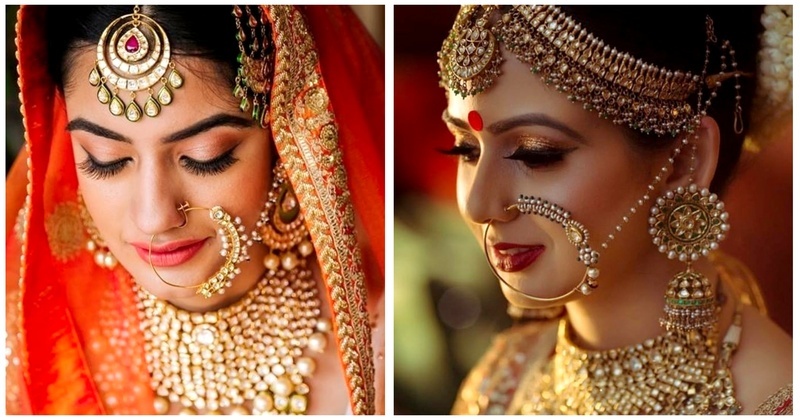 Bridal jewellery is an integral part of any Indian bride’s look and there is no denying the fact that the bridal ‘nath’ plays an integral part in completing the entire look! The nose ring or the nath adds the much needed bling and it’s of paramount importance to choose it wisely. 11. The single stranded nath which is perfect for a bride opting for an all-gold look. I hope you have decided which oversized nose ring you are going to pick for your wedding! Image Source - Pinterest if not specified.